On the flip side, having never needed an insulated motorcycle glove (20 years of sunny SoCal riding, dontcha know), I was a bit concerned about the bulkiness of some silly thick mitten. I needn’t have worried. After 4500 miles through the cold deep south (Argentina and Chile, not Mississippi and Louisiana), I found that not only did the Alpinestars WR-3 keep my digits dry and warm, the insulation did not compromise feel or dexterity. Even while working on the KLR’s #%^& tossed chain for the thousandth time, I was often able to keep the gloves on as I adjusted the rear wheel and fiddled with the links. The WR-3s got the call primarly because of their Gore-Tex membrane. Three decades of backpacking have made me very partial to Gore products and their rigid quality control standards that have never let me down. I’m not saying there aren’t equally good waterproof alternatives on the market, I’m sure there are. But when I need to stay dry, I look for the Gore-Tex tag. I fully expected to encounter soggy and cold conditions while on my Chile/Argentina adventure, but I didn’t expect to need these gloves as early as Day 3. I put them on and wore them every day until my final return into Santiago. During that time, I encountered temperatures just below freezing, with rain and sleet and harsh winds, and the Alpinestars locked out both the cold and the wet. Now, some caveats. The KLR 650 had handguards, which are imperative for keeping much of the wind off of your hands. However, I did not have heated grips. As with most waterproof gloves after hours of exposure to moisture, the outer material (textile, leather, whatever) eventually becomes saturated. Still, no water penetrated the Gore-Tex membrane on the WR-3s. Personally, I have found that the worst thing I can do in those conditions is to take my hands out of the glove; the heat I’ve accumulated inside the membrane/insulation will escape, and then the cold outer material will win the war. I also make a commitment to constantly wiggle my fingers in any glove in order to keep the circulation moving through the digits. As with any clothing or equipment designed to combat harsh weather, it’s important to remember that everyone has their own tolerance for discomfort, and some people just have a naturally higher, or lower, personal thermostat. Knowing where you rank on that scale is extremely helpful when determining how much/how warm you’ll need your gear to be. Overall, I highly recommend the WR-3s, and yes, they do come with “Catch Up Speed.” More tangible features include full grain leather, EVA padding on knuckles/fingers and wrist cuffs, a padded palm reinforcement, an actually useful thumb squeegee, and a good fitting wrist closure. I scored mine at Atomic-Moto.com for $159.95. 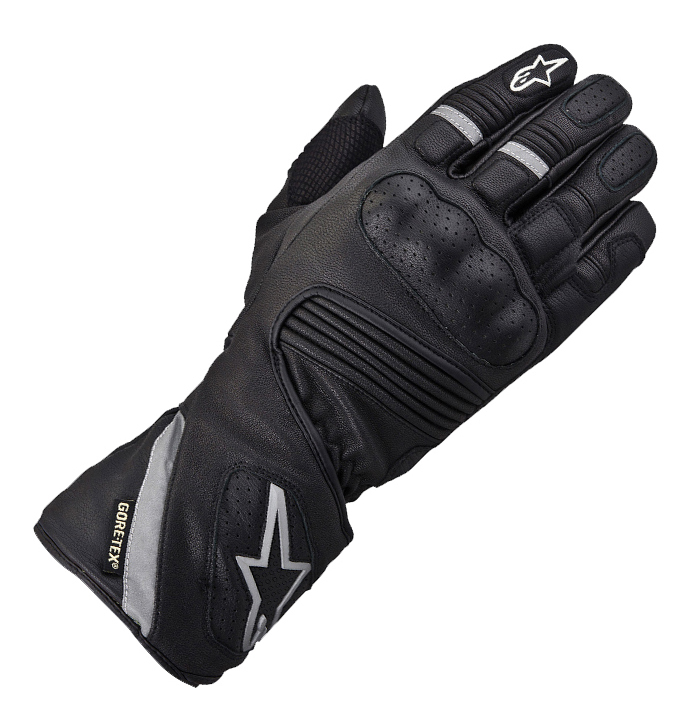 Thanks for the alpinestars glove review. 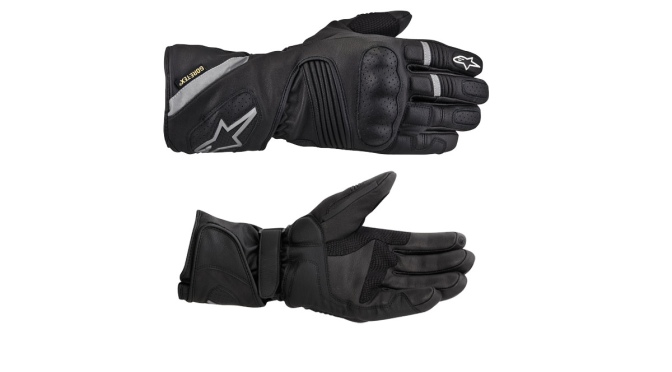 I’ve been thinking about getting a pair of the WR-3s or the Firstgear equivalent, you sold me on the AS.